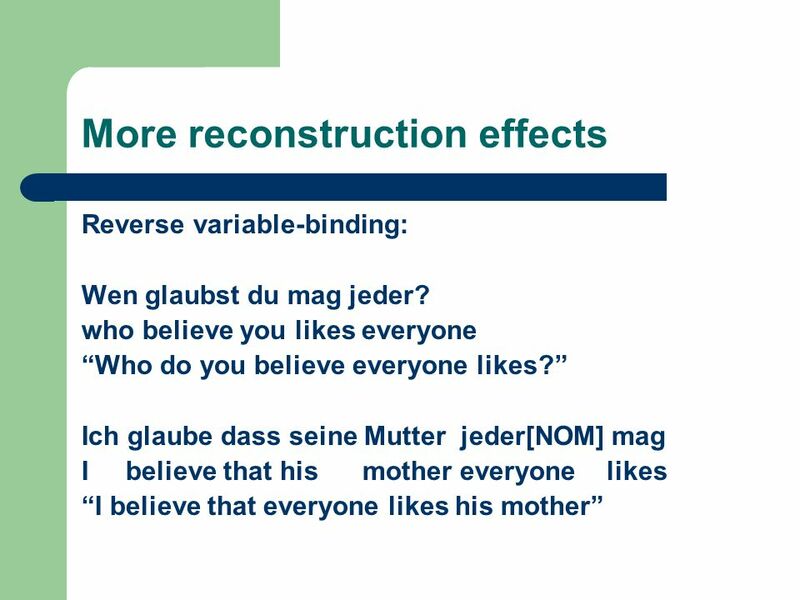 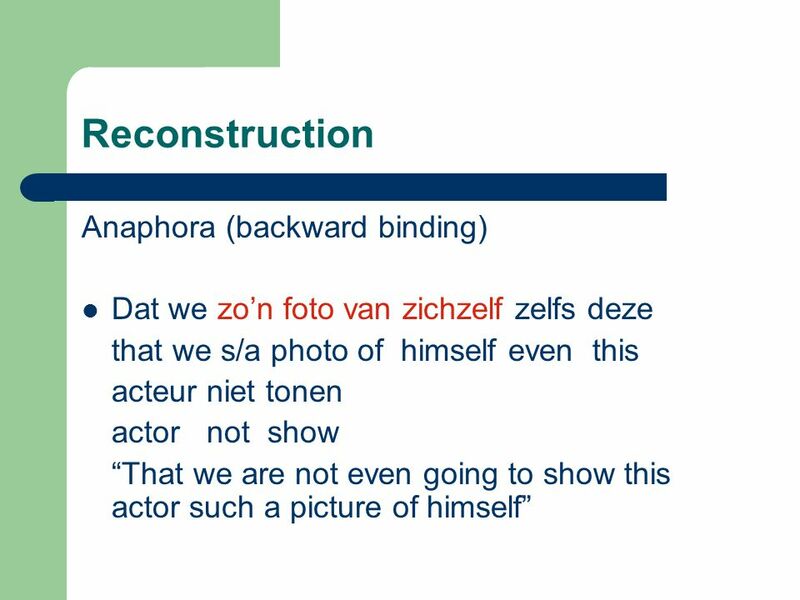 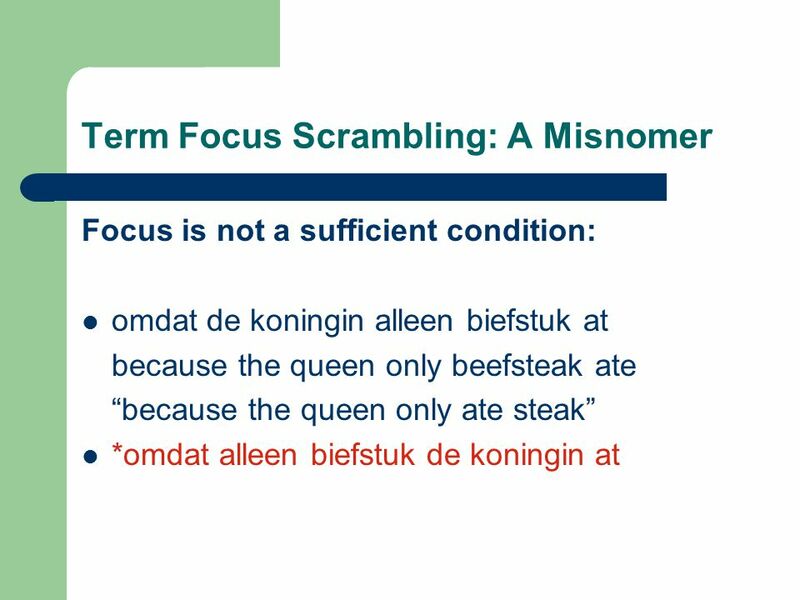 Focus Scrambling in Dutch: A Word Order Option in Decline Jack Hoeksema University of Groningen. 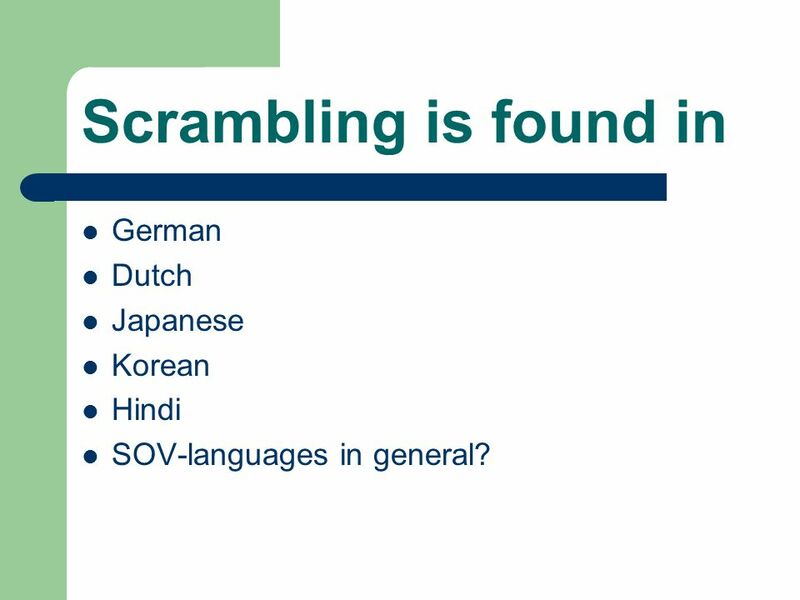 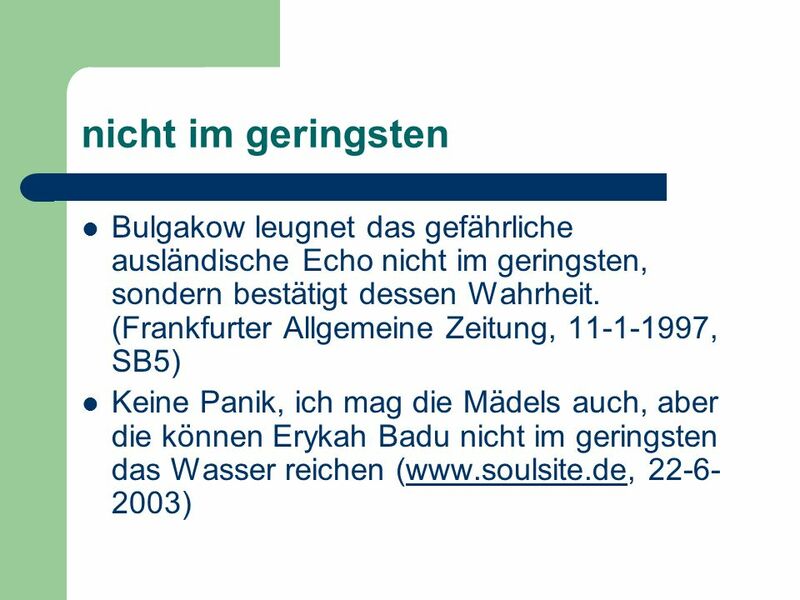 3 Scrambling is found in German Dutch Japanese Korean Hindi SOV-languages in general? 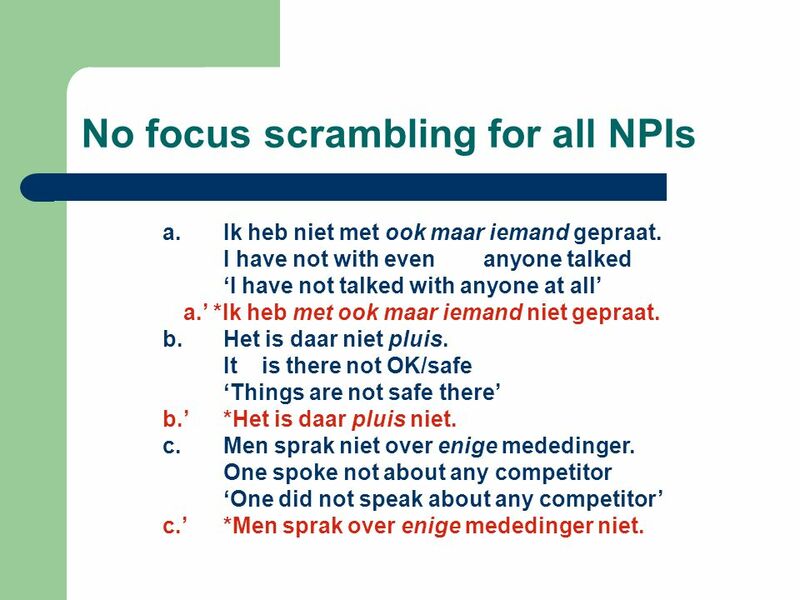 22 No focus scrambling for all NPIs a. Ik heb niet met ook maar iemand gepraat. 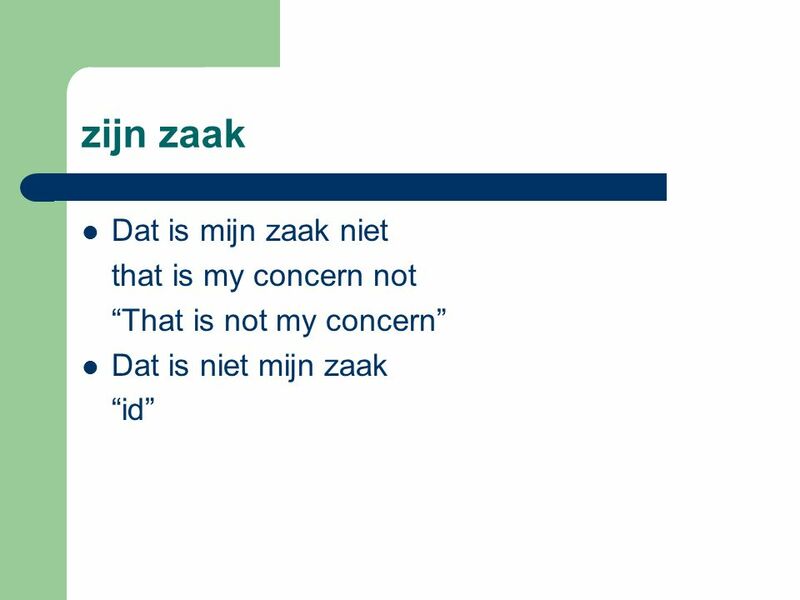 I have not with even anyone talked ‘I have not talked with anyone at all’ a.’ *Ik heb met ook maar iemand niet gepraat. 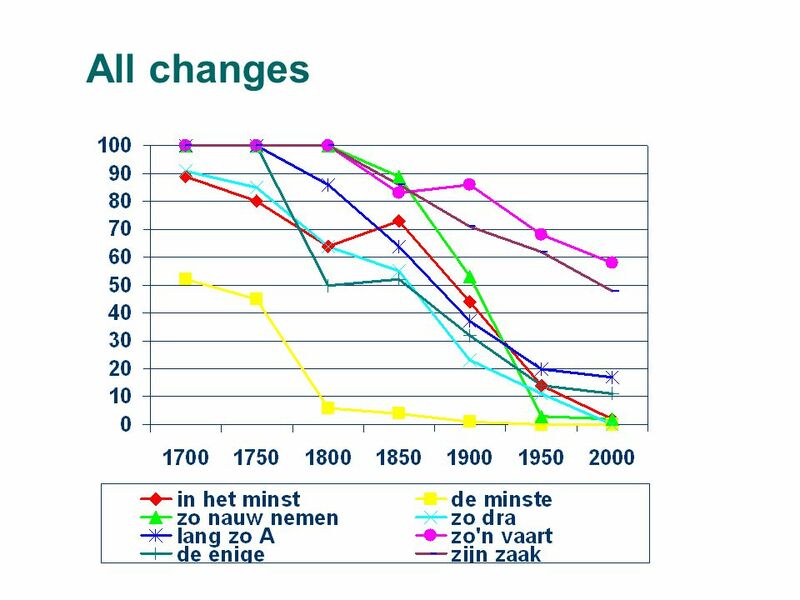 b. Het is daar niet pluis. 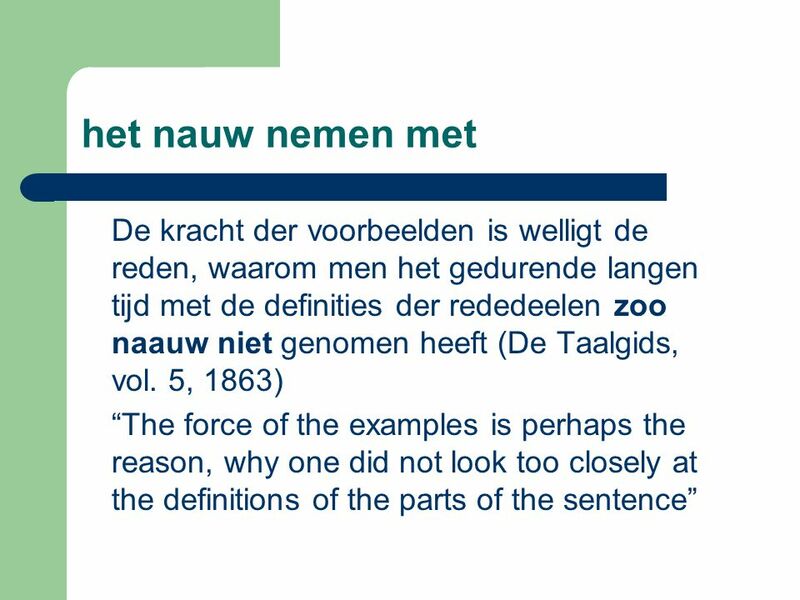 It is there not OK/safe ‘Things are not safe there’ b.’ *Het is daar pluis niet. 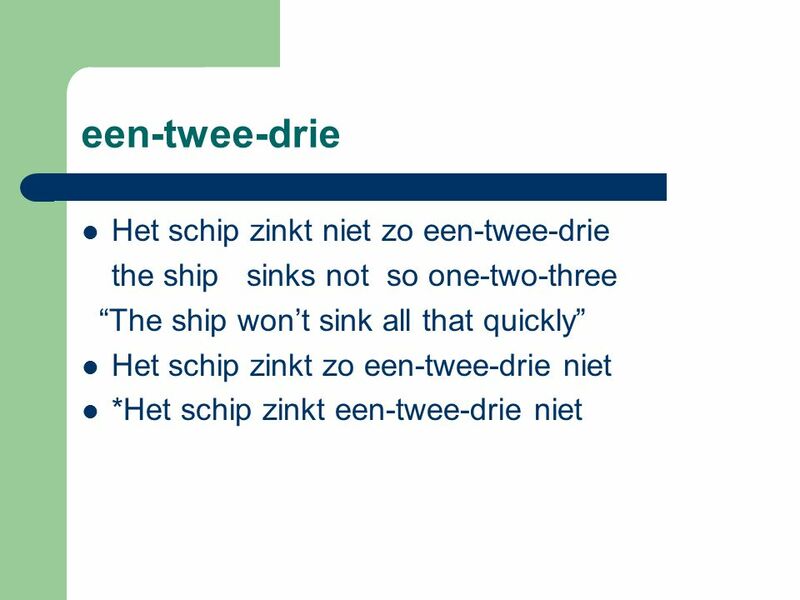 c. Men sprak niet over enige mededinger. 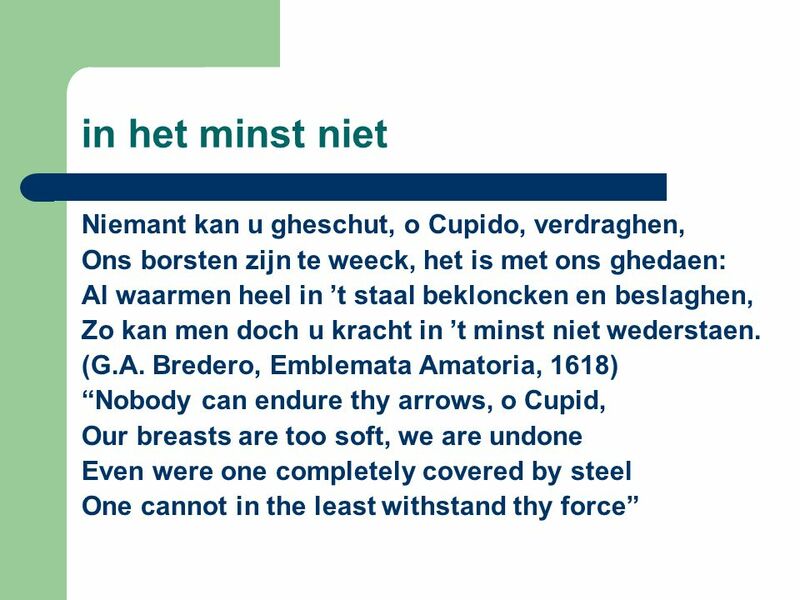 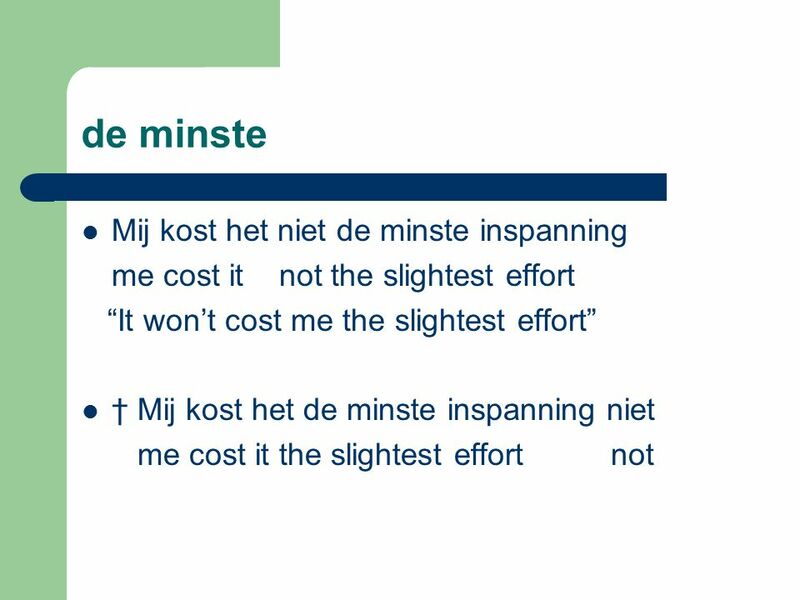 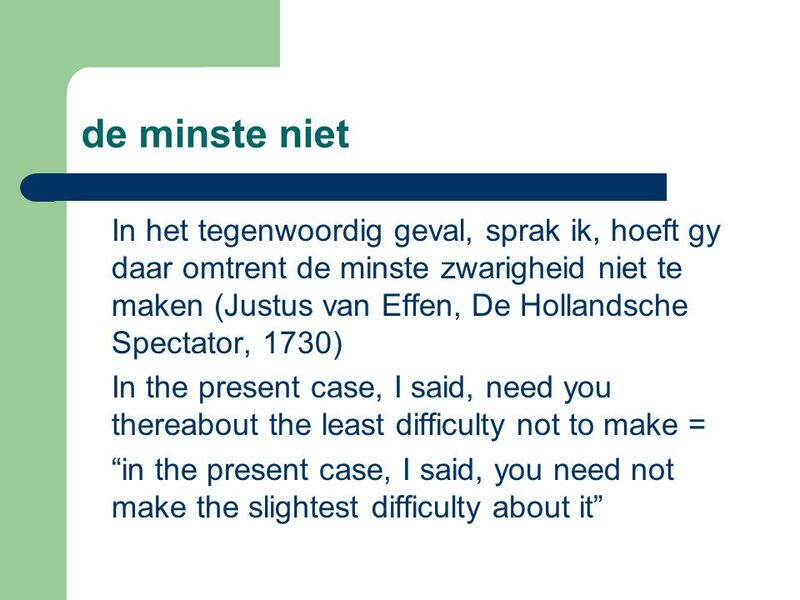 One spoke not about any competitor ‘One did not speak about any competitor’ c.’ *Men sprak over enige mededinger niet. 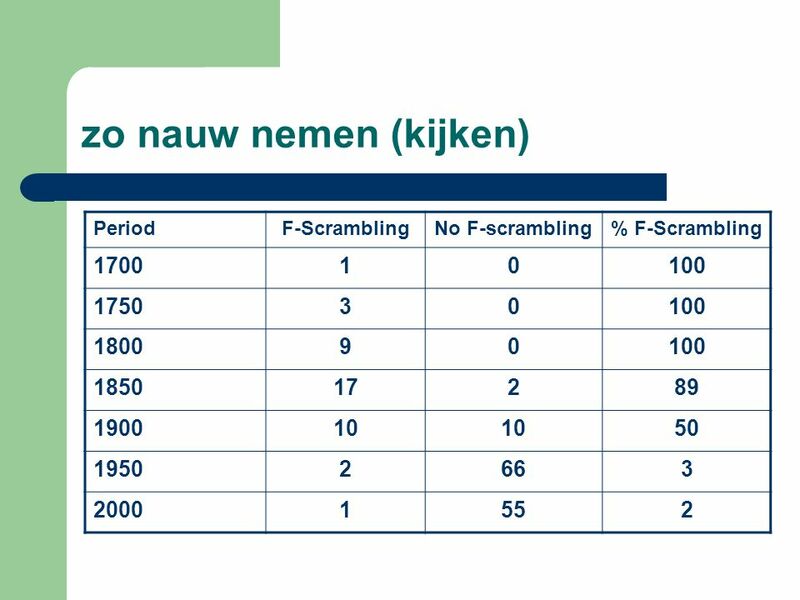 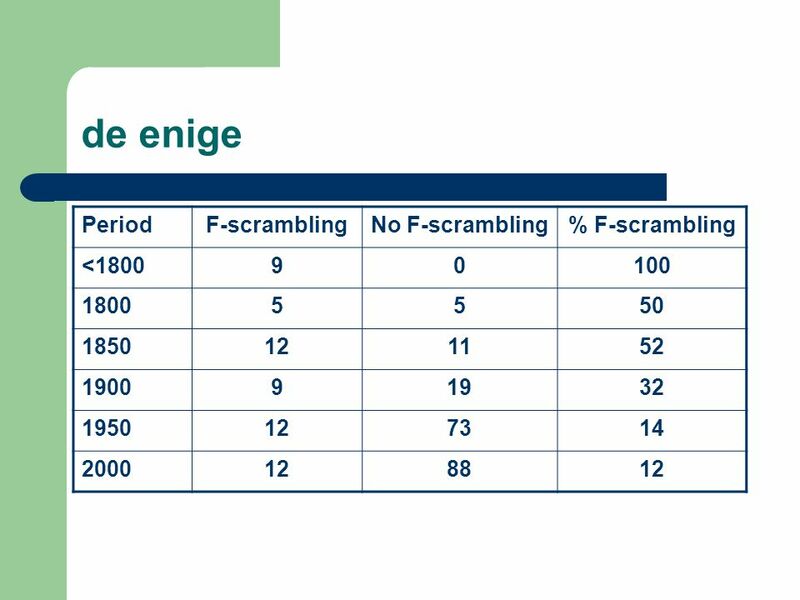 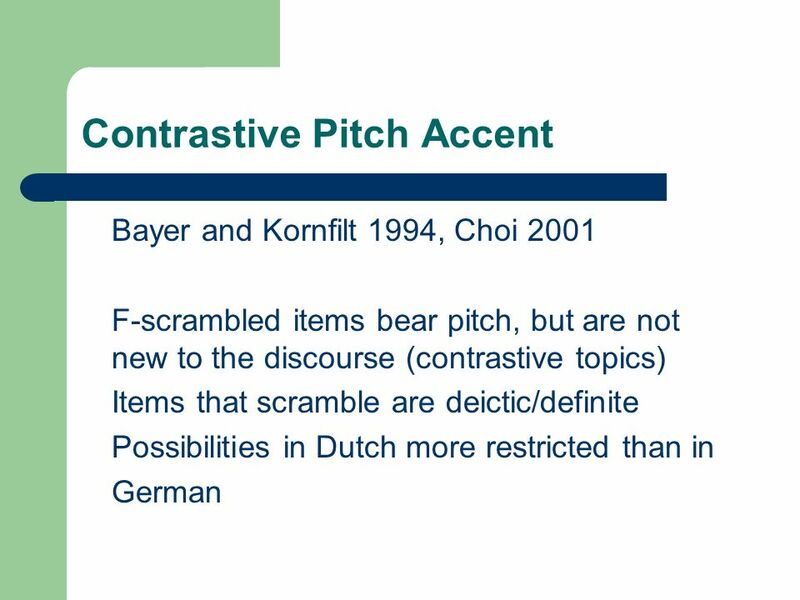 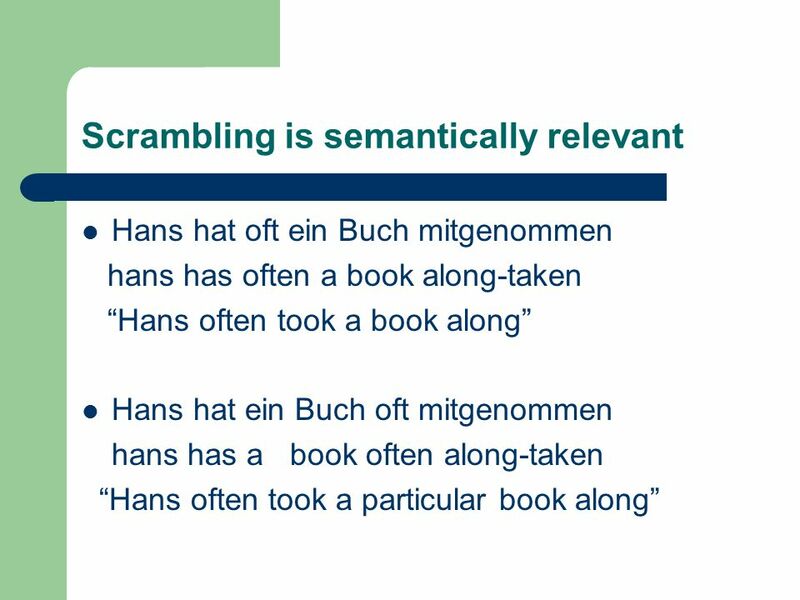 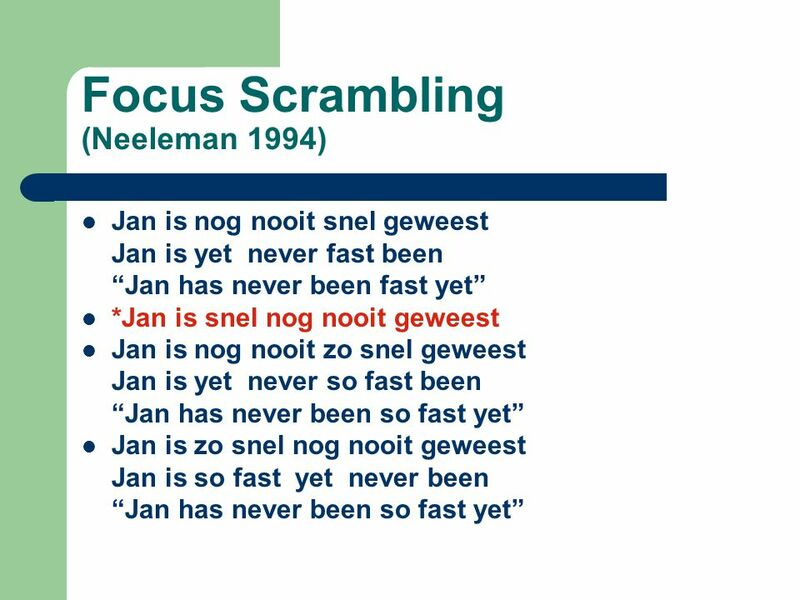 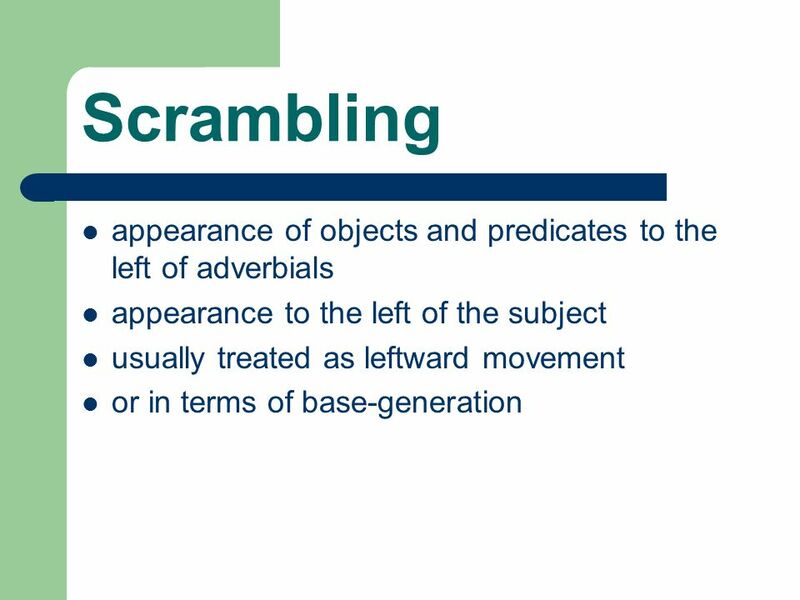 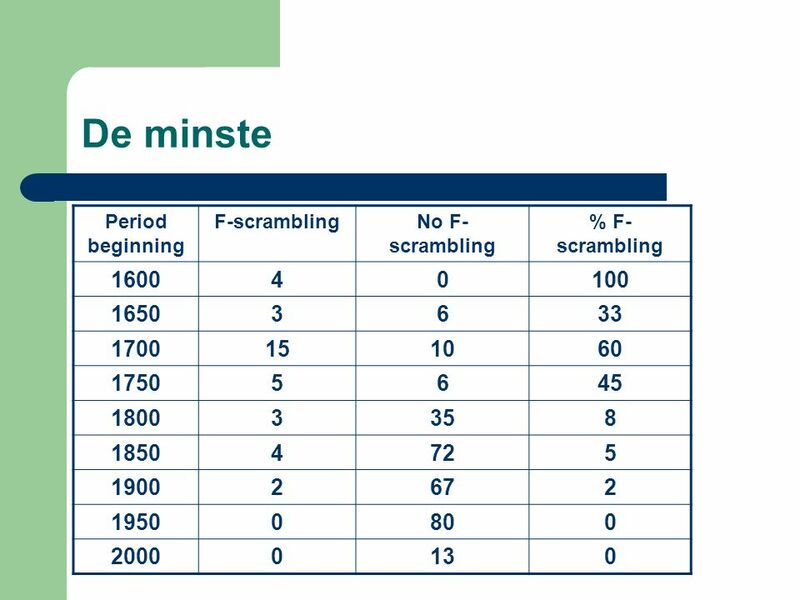 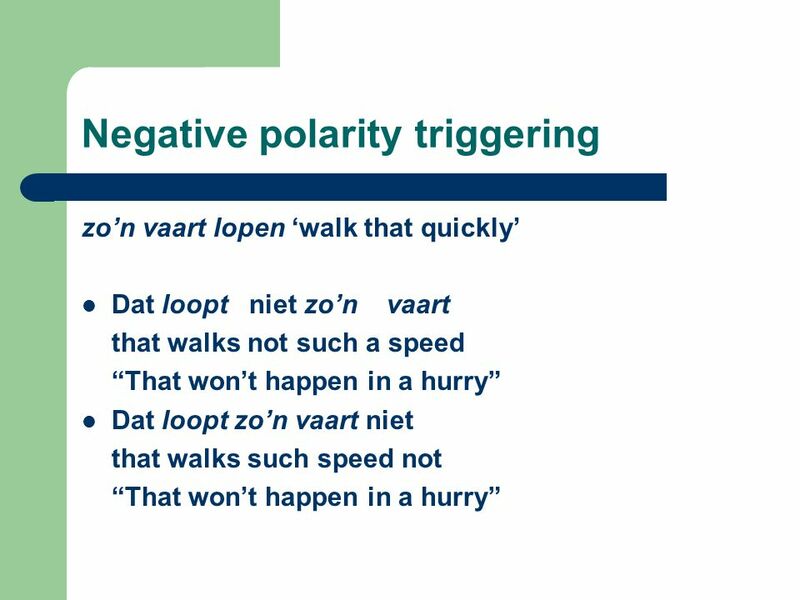 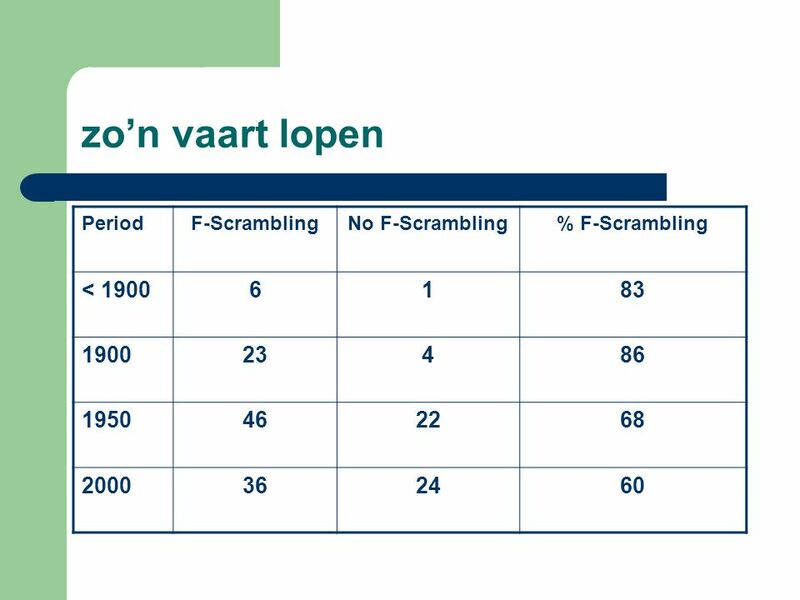 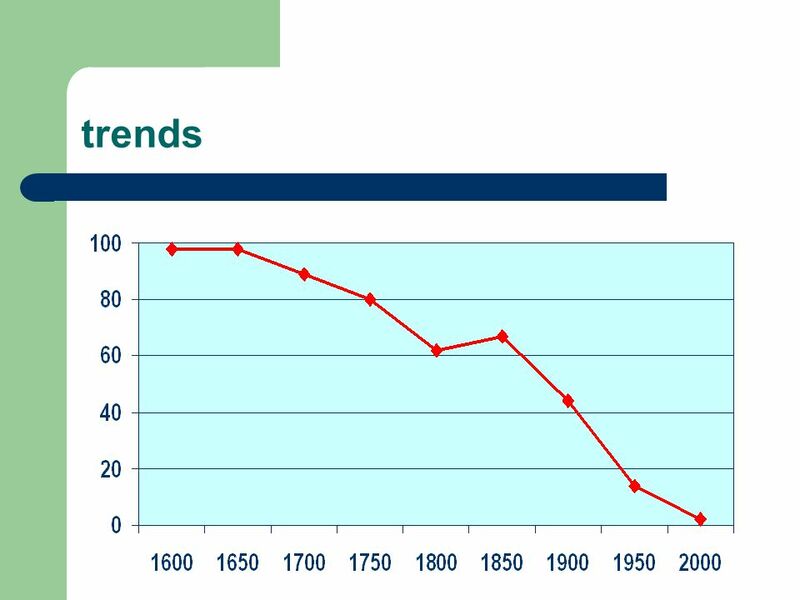 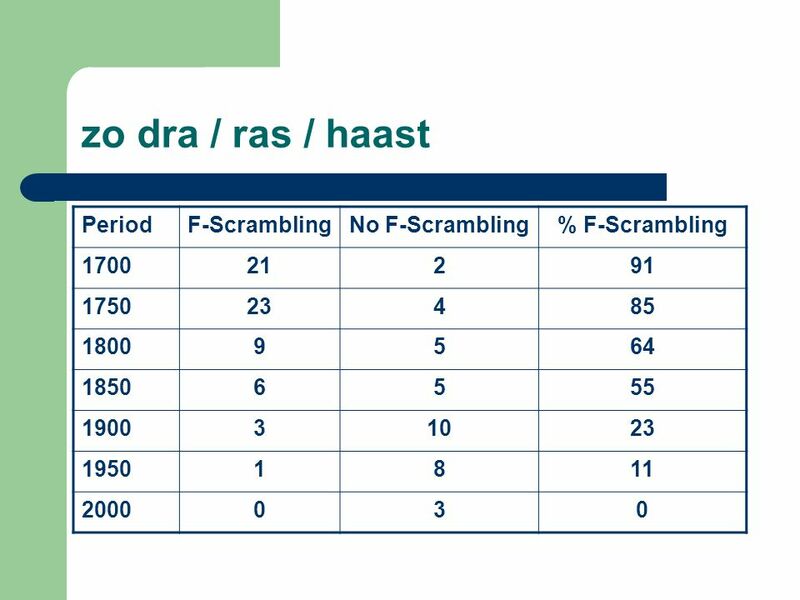 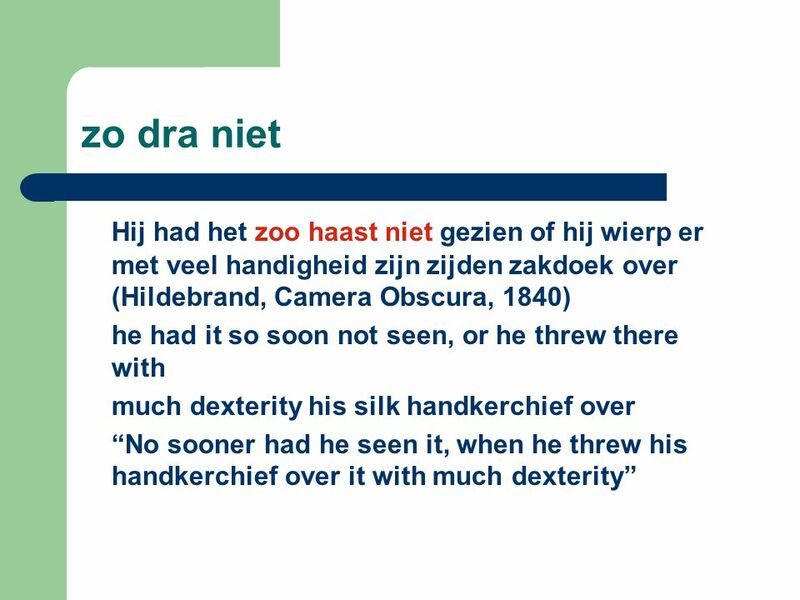 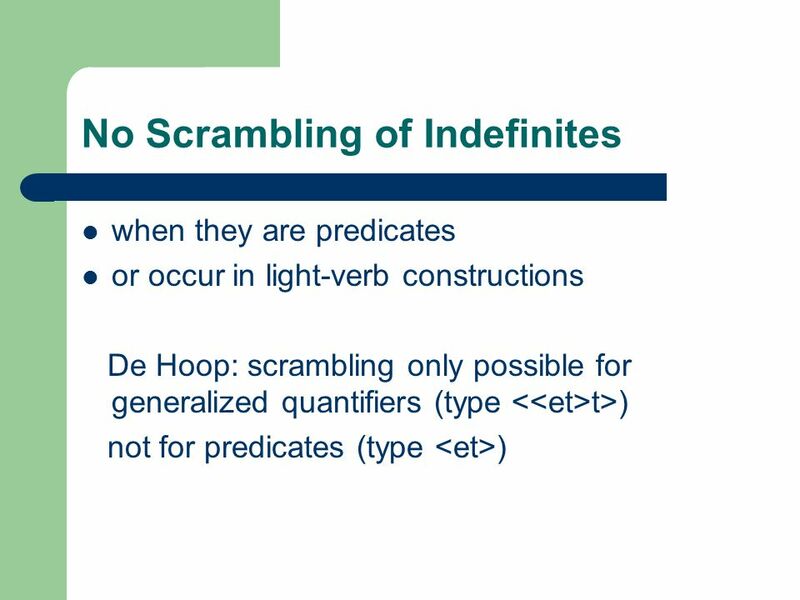 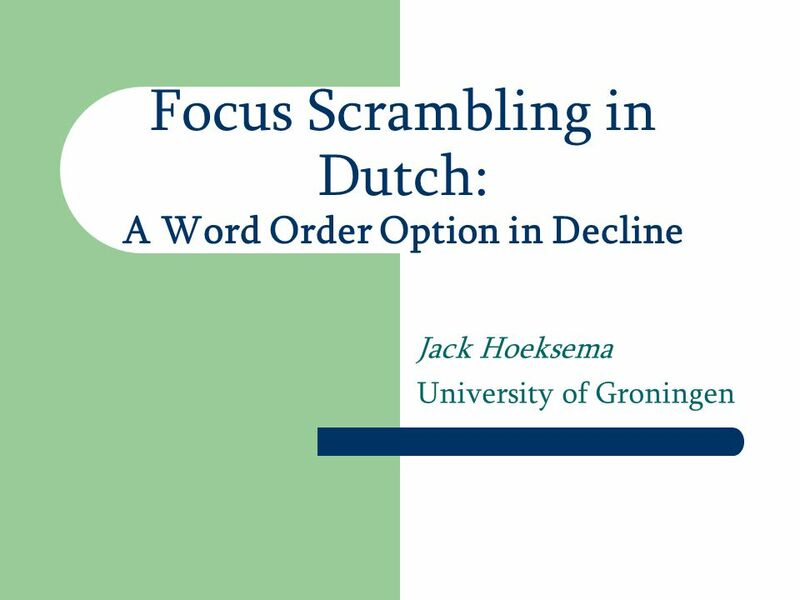 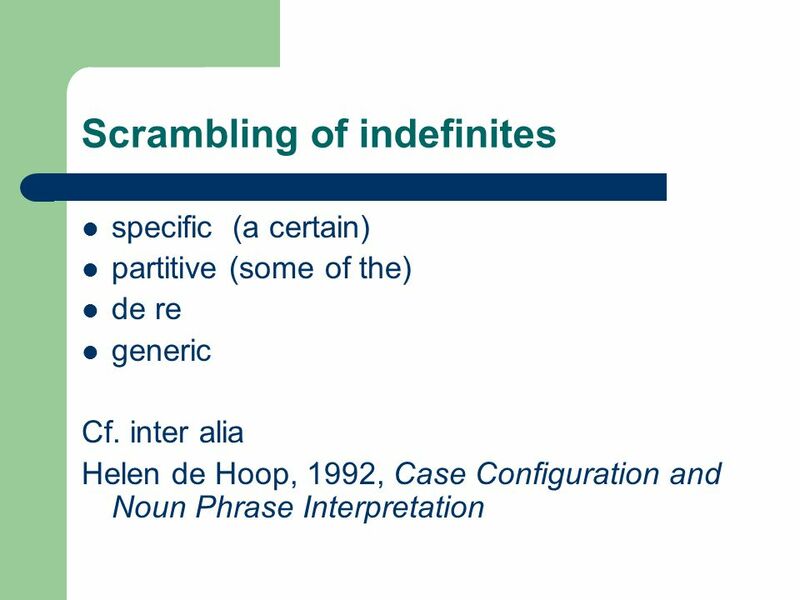 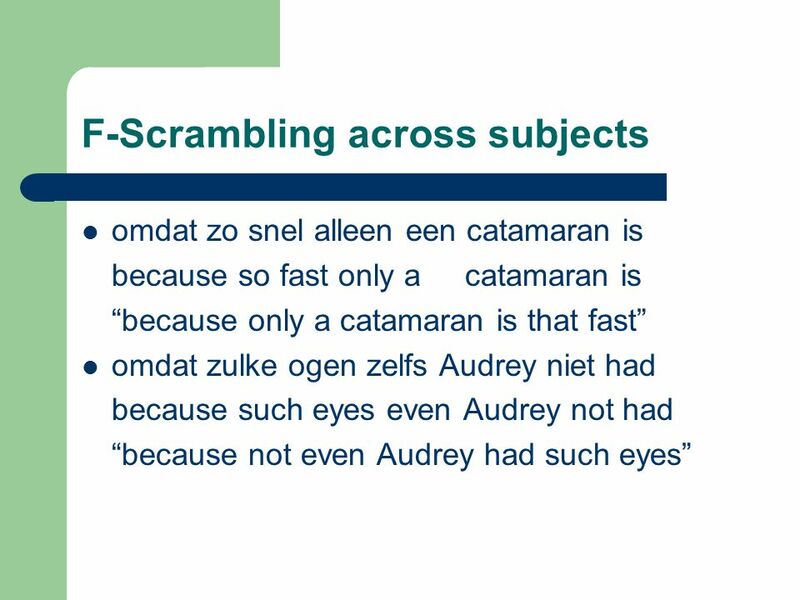 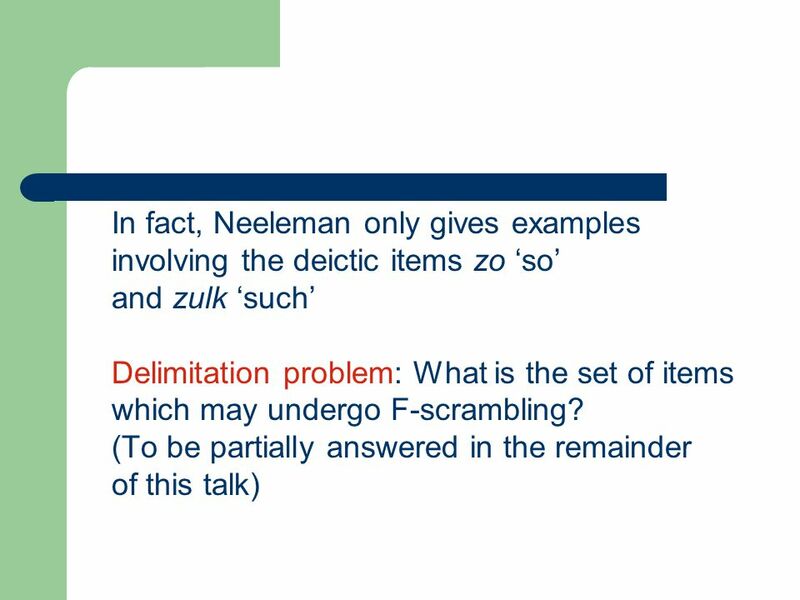 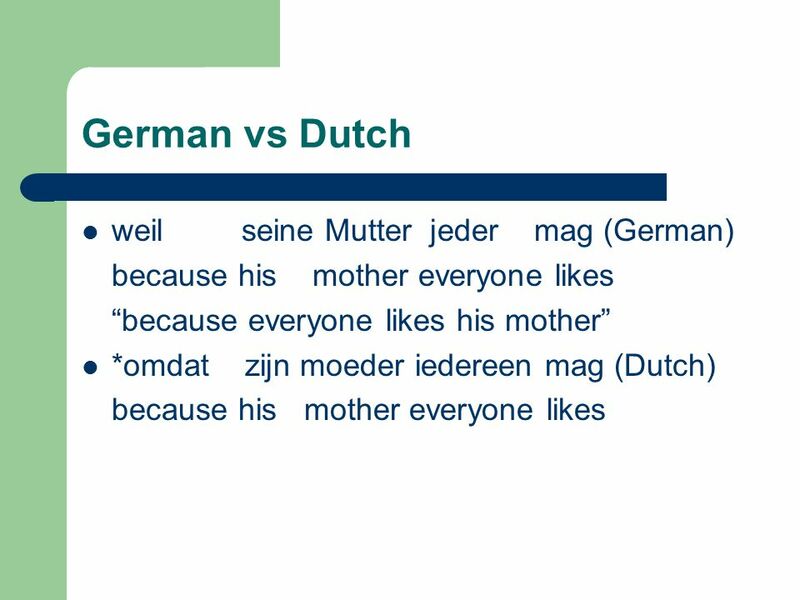 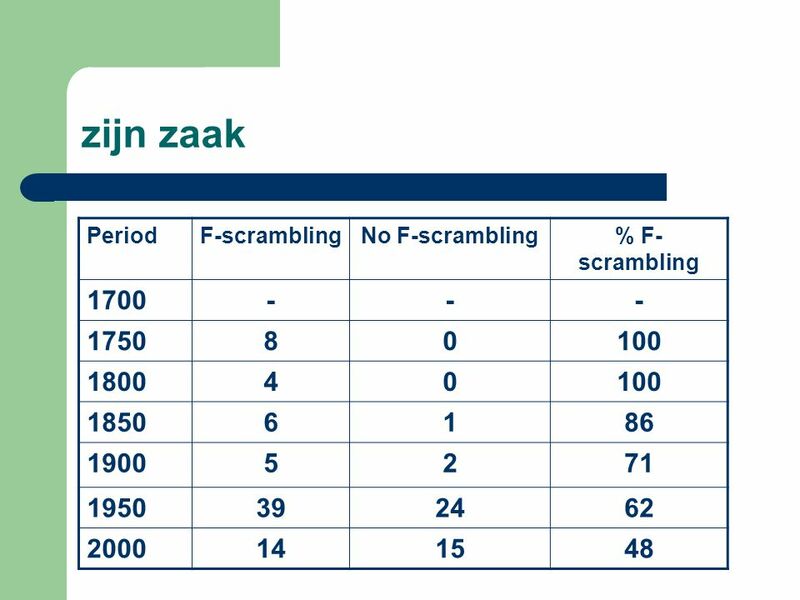 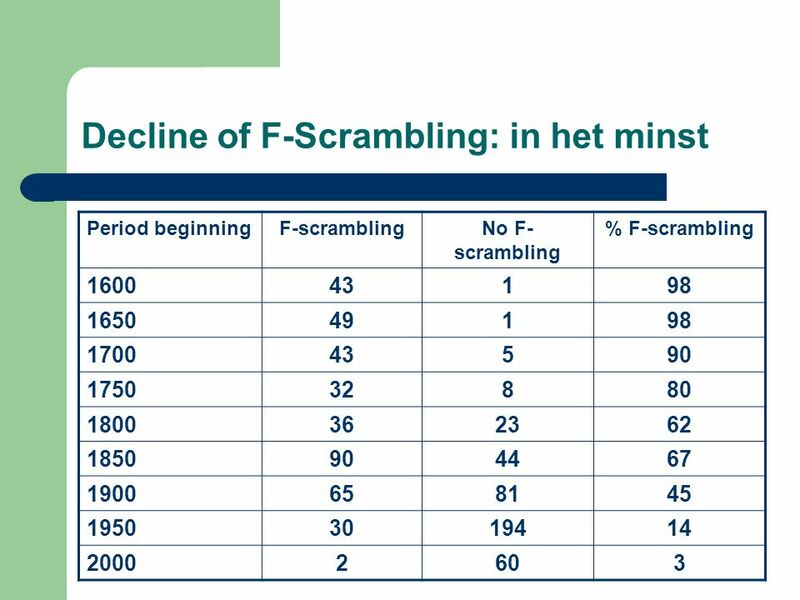 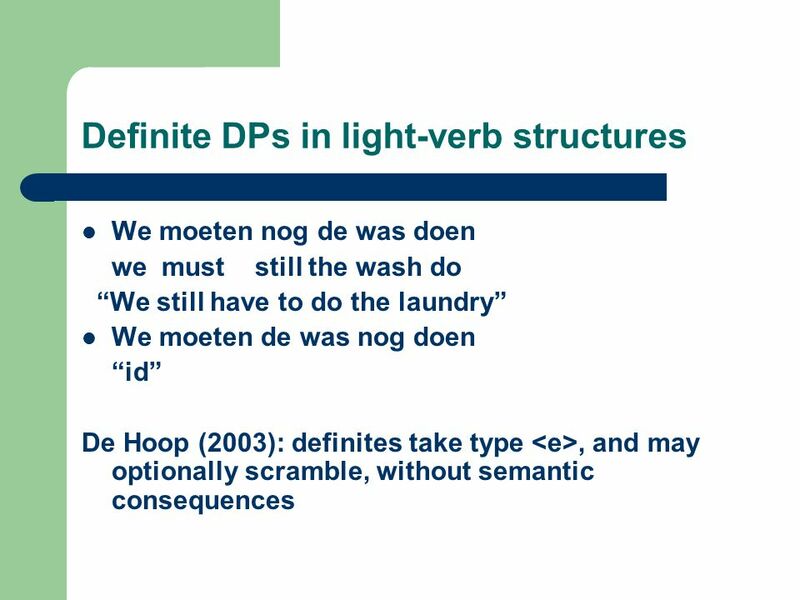 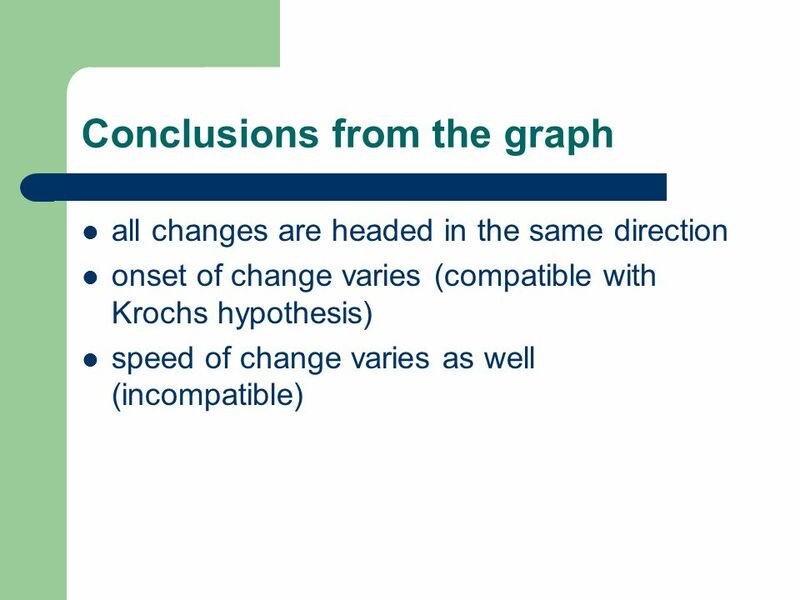 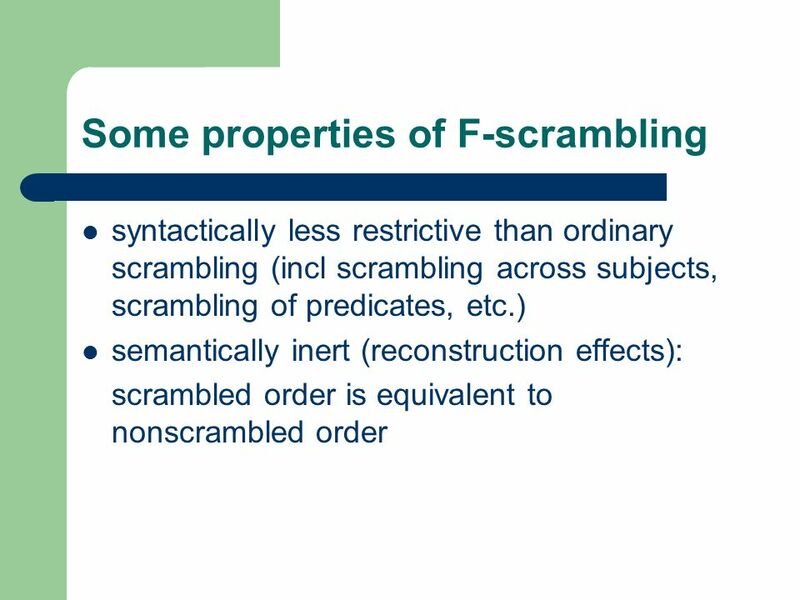 Download ppt "Focus Scrambling in Dutch: A Word Order Option in Decline Jack Hoeksema University of Groningen." 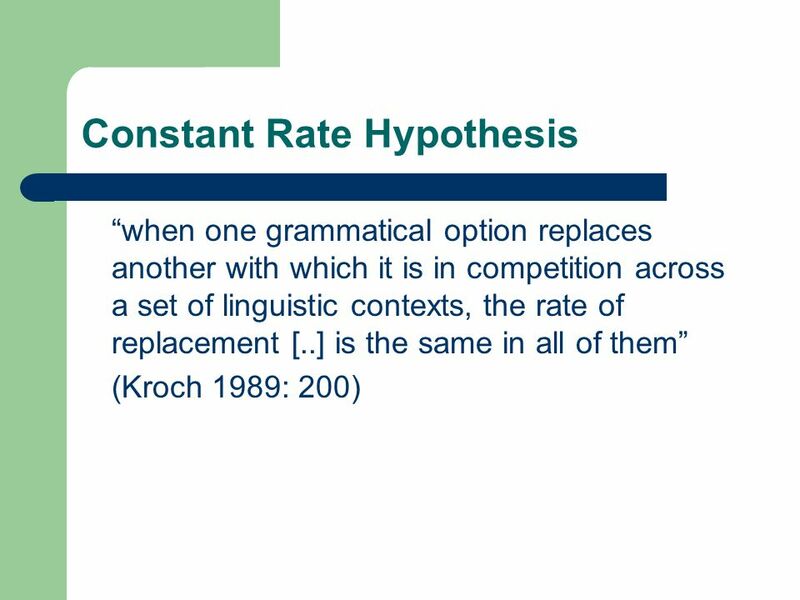 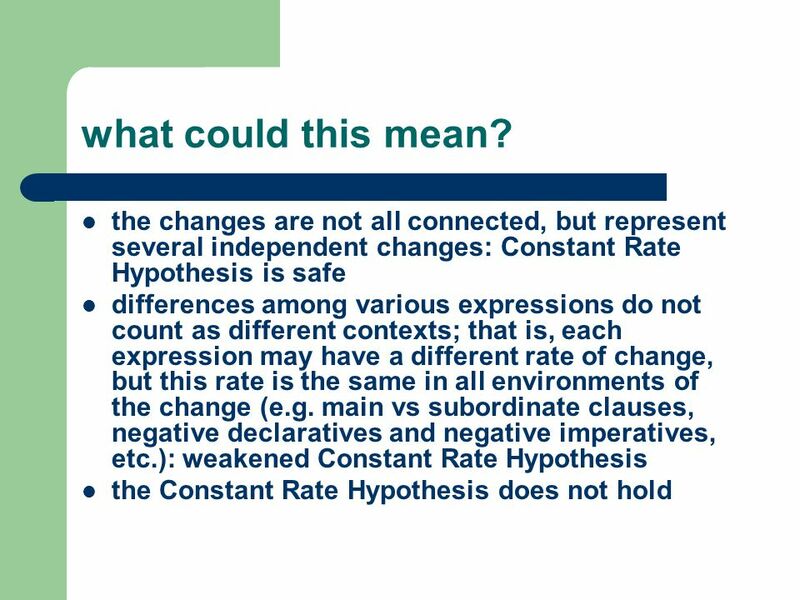 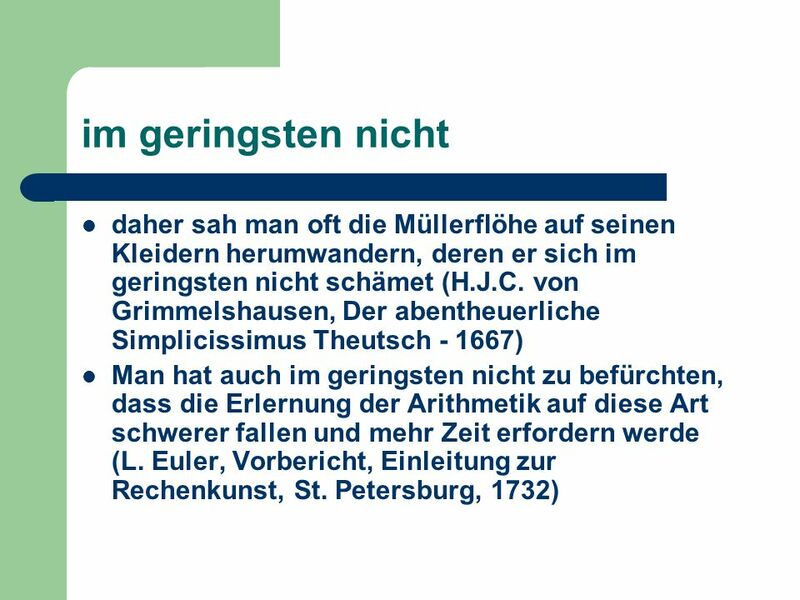 Grammatica Unit 1 HD 1.1 t/m 1.8.